You’re reading the text version of the Social Media for Authors Podcast, Episode 32 published and copyrighted by Frances Caballo every week. As usual, this week’s episode includes summaries of four blog posts with awesome blogging tips and, of course, I have your tip of the week. Enjoy! Before I launched my podcast, I surveyed my blog readers because I wanted to know which topics they – you – wanted to hear about. Instagram ranked high on the list. So here’s a new episode on this wildly popular network. But before we delve into tips from a variety of sources, let’s look at Instagram’s user numbers. You may be wondering, “Is Instagram widely used?” Oh, yeah. According to Digital Marketing Research, more than 75 million people use this application. Should you use it as an author? That depends. Forty-one percent of users are between the ages of 16-24. Among the 18-29-year-old crowd, 53% use Instagram. Do people who didn’t grow up with the Internet use Instagram? Of course. But if you write Young Adult and New Adult novels, Instagram is a must for your marketing plan. The numbers don’t lie and if you want to be where your readers are and you write YA and New Adult fiction, this is one of your most important social media networks. If you want a worldwide readership, you’ll love this statistic: 70% of Instagram users are from outside of the U.S.
Here’s another statistic that will blow your mind: the U.S. user base for Instagram grew by 60% in 2014. That’s incredible and tells us that more and more people love this application. In January of this year, Pew Research Center released a study showing that Instagram was the fourth most used social media network, behind Facebook, LinkedIn, and Pinterest. How can you use Instagram to market your books? Create branded text quotes using lines from your books. And show your readers what your life looks like. You don’t have to get overly personal. Just show them a picture of your desk, your favorite coffee drink, or the computer or pen you use when you write your books. Let your imagination run free. Just be visual and inspirational. Okay, let’s move on to the tips from other experts. Mixtus Media published a post by Jenn Hanson-dePaula titled 5 Reasons Why Authors Should Use Instagram. … a) it creates visual content that you can use on Facebook, Twitter, Pinterest, etc., and b) it connects you with a wider audience and exposes your work to new readers. It will allow you to look at the world differently. In other words, she sees it as a creative tool that will motivate you to get out of your normal surroundings and find interesting, unusual or fun things to capture with an image. Jenn believes that by visually stimulating your readers you can create new conversations. She maintains that images can evoke emotions or memories and start new conversations. Visuals can connect you with a new and wider audience. For example, this application is popular among the younger set and African-American and Hispanic populations. Jenn also says that Instagram can help you to create new content. I say that we have to create visuals for Facebook, Pinterest, and Twitter, so Instagram doesn’t necessarily force us to create new content; it simply gives us another outlet for distributing it. The next post is 11 Super Simple Ideas for What to Post on Instagram by PostPlanner, a Facebook and Instagram app. Here are some of the ideas in this post. Behind-the-scenes images such as your favorite writing spot. Selfies of yourself writing, reading, or enjoying a writer’s conference. Quotes using branded image quotes. Throwback Thursday images from your past. You could also post a picture of a gorgeous sunset, an obsession such as a flourless chocolate cake (yes, that’s my obsession! ), flowers, etc. The next post is by Ian Cleary at RazorSocial, and it’s titled Instagram Hashtags: A Reference Guide. Ian Cleary is awesome, and I’m going to discuss two of his posts. First, let’s talk about his post on hashtags. According to Ian, hashtags on Instagram have been around since 2011 and are a way to categorize a picture. Examples he cites include #motivation #inspiration and #rockit. Gramfeed allows you to use hashtags to find recent pictures and videos. And it will show you related hashtags. If you’re looking for #amwriting, #author or #writetips across more than one platform, then you should use the app Tagboard. Postplanner will allow you to find the most popular pictures related to a particular hashtag. Once you find what you’re looking for, you can then post the content to Facebook or Twitter. Hashtracking provides analytics back on your selected hashtags. To find people to connect with. To look for other authors as well as readers. In his second post, 4 Instagram Management Tools to Streamline Your Workflow, Ian discusses several apps, but I’m only going to mention one: Unfollowers.com. Similar to how many of these apps work for Twitter, Unfollowers.com will help you unfollow users who aren’t following you back on Instagram. And you can use this same app for Twitter. Be sure to check the post to read about the other apps he mentions. 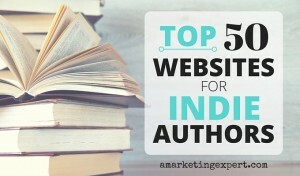 Let’s move on to a post by Adrienne Erin and written for The Book Designer blog titled Top 7 Ways Authors Are Using. Instagram. Inspire yourself and your readers. Collaborate with your fans and readers. Give readers an inside look at your life. Finally, don’t forget to read my previous podcast episode and show notes: Should Authors Be on Instagram? Absolutely! You find even more tips here. If you want to supercharge your social media marketing and know when are the best times to post your social media updates, download my free Social Media Cheat Sheet. This cheat sheet will take the guessing out of when to post what you write.